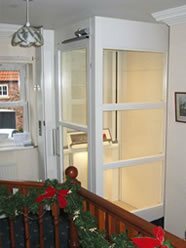 We provide lift solutions for a wide range of requirements, whether vertical, inclined or short rise. All of our lifts meet the requirements of the relative directive and are designed to ensure that safety is of paramount importance. 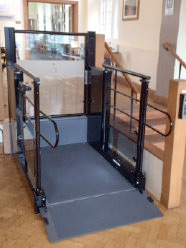 Here at Ability Lifts, we offer solutions for many different access requirements, from platform lifts and stair lifts, to external lifts, access lifts and much more. We aim to offer top quality service and highly competitive prices. 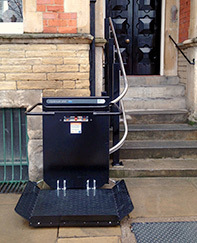 All of our access lifts are in compliance with the Machinery Directive MD 2006/42/EC, EN81-41 and Part M, and we're happy to advise you with any questions you may have about access requirements. You can view our accreditations here too. Unsure which lift might be right for you? 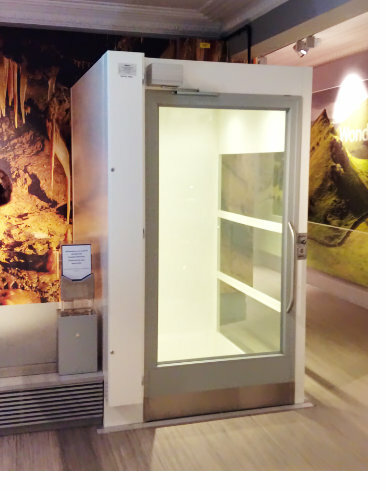 A high quality vertical lift that is supplied complete with its own small footprint enclosure. Now with a 5 year warranty on motor and gearbox plus 10 years on drive chain. 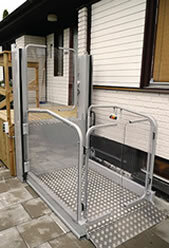 One of the best quality stair platform lifts available and is suitable for both internal and external use. Available for both straight or curved stairways. Offers a Part M compliant solution to small changes in levels and is suitable for internal or external use. 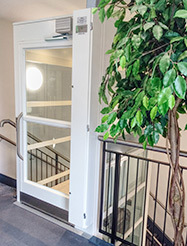 This lift has been designed with aesthetics and safety in mind. A high quality and reliable hydraulic platform lift designed to work internally or externally for heights from 25cm to 1m. It comes complete with it own self supporting structure. The ultimate space saving platform lift for your home. It has been designed for the home with a very small space requirement to optimise the space in your building! 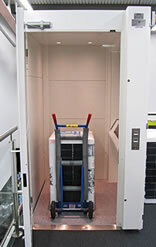 The Optimum Goods Lift is a high quality, reliable, chain driven vertical platform lift that is supplied and installed complete with its own small footprint enclosure.